Tiger eye, beautiful and mesmerizing accented with a sparkling golden ladybug faceted sapphire. 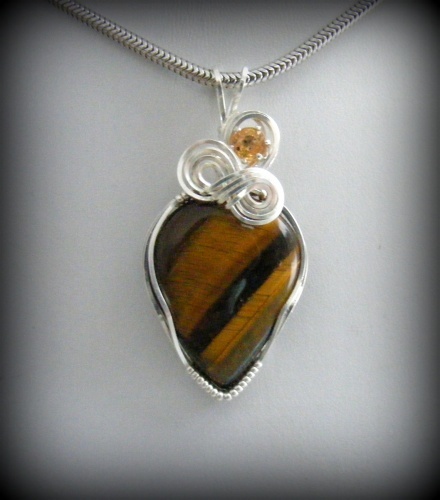 One of a kind, outstanding with its sterling silver framework. Piece measures 1 3/4" from top of bail to bottom of pendant and 7/8" wide. Comes with a sterling silver snake chain.